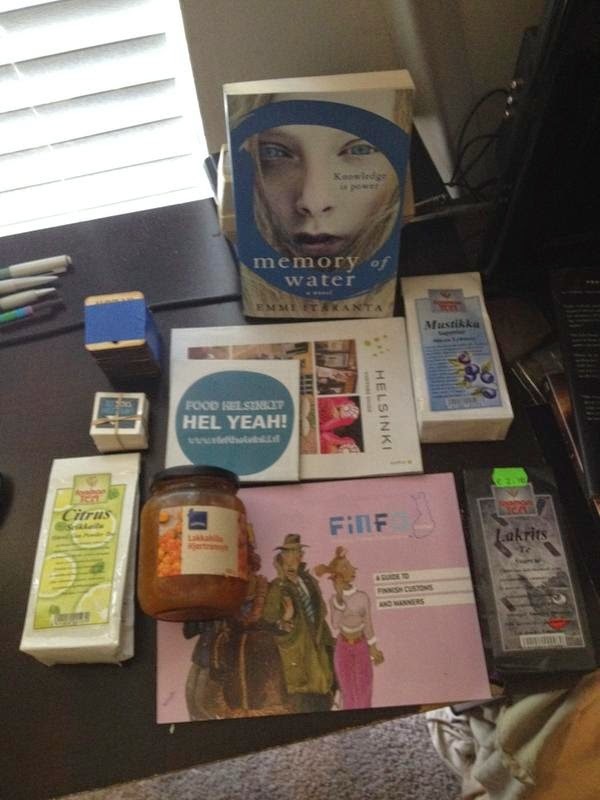 If you didn't already know, I'm a huge supporter of Helsinki's 2017 Worldcon bid. A huge supporter. I did the whole pre-support thing when I was in London last year, and I intend to go through the whole process of voting for Helsinki at this year's Worldcon -- well, not at the actual con, mind, but you get the idea. First, the idea of a Worldcon in Helsinki just sounds amazing. Finland is a gorgeous country. Don't believe me? Look for yourself. It's gorgeous all the time. Summer, spring, winter, whenever. It's just gorgeous. GORGEOUS. And what about Helsinki? Gorgeous. Plus, I'm told it has great food, good public transport, cool markets, and lots of old stuff for weird old stuff lovers like me to enjoy. If London gets to have a Worldcon because it's an awesome city, then there's no good reason Helsinki shouldn't get one, too. Plus, they have reindeer. And tea. Seriously. Why hasn't Worldcon been in Helsinki already? Second, Helsinki is, well, different. I've never been to Finland, let alone anywhere farther east than England. But the idea of traveling to a new place to meet new folks who love the things that I love is nothing short of amazing. I loved meeting non-US folks at LonCon3. In fact, this is probably my favorite thing about conventions: meeting new people. And I want to meet more Finnish fans. And I want to see what they'll bring to the Worldcon table if they win their bid. Guaranteed, it will be awesome. Lastly, I think of "Worldcon" in quite literal terms: a WORLD convention. Whether that was its purpose in the beginning is irrelevant. I would much rather have Worldcon hit a country on all 6 of the other continents before it came back to North America -- let alone the United States. Don't get me wrong. I love the U.S., too, but I think the "WORLD" part of sf/f deserves more love than it gets. These are global genres, and I think our two "world" conventions should do their best to move about the world, to bring new fandoms into the fold in a big and significant way. Finnish fandom is important, after all, and it seems high time Finland rock the Worldcon train with some good old fashioned Finnish cool. There are, of course, other great reasons to support Helsinki. If you're a supporter, let me know why in the comments. 3 Bags of Finnish Tea from Forsman Tea: Lakrits Te (Svart te; Indian-Ceylon w/ licorice oil), Mustikka Superior (Musta Lehtitee; blueberry tea, though I'm not sure what the "base" is because I can't read Finnish), and Citrus Seikkailu (Vihreä Gun Powder Tee; green gun powder tea w/ lemon and orange spices). I've already given the licorice tea a spin, and I pretty much loved it. I'm going to review all of them over the next week, since I have a ton of Hugo Awards reading to do. And to make things interesting, I'm going to start comparing teas to characters from Battlestar Galactica, since I drink so much damn tea and should probably be reviewing the stuff anyway.